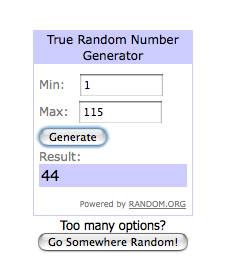 the canDIshhh tales: WINNER of the Sassa Tank Top! 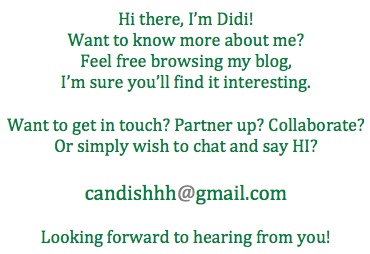 I've received a lot of entries that were incomplete. But good news is - I did not disqualify any of them. I figured, why not just include everyone! 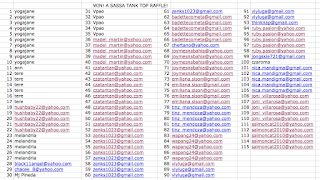 I mean for all the effort that was put in to read the entry, 'like' Sassa's FB page, and comment on my blog. Everyone deserves a chance to win the Sassa tank top! CONGRATULATIONS! 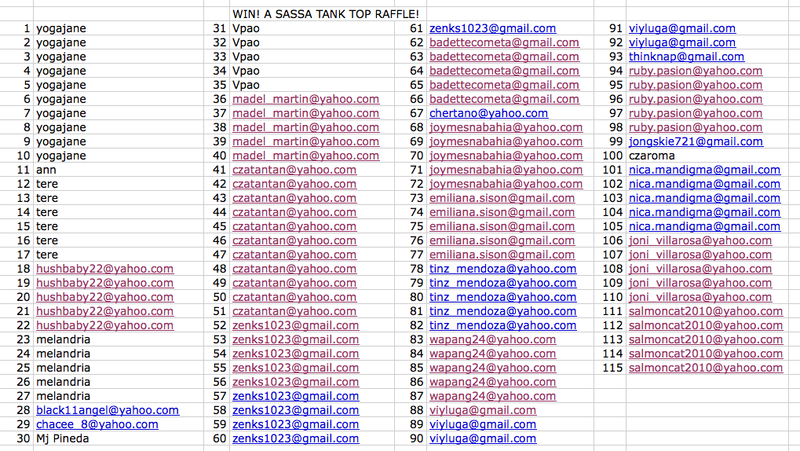 You have just won this Sassa Tank Top!! To all those who joined - THANK YOU!! wow thank you... how can i claim this sassa tank top?